We are delighted to announce the line up for our next season of Family Concerts - music to educate and entertain on a Saturday morning. 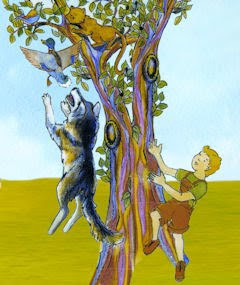 A brilliant carnival of animals with a colourful aquarium and aviary, jolly elephants, wild bears, acrobatic seals, dancing hippopotami and the famous story of a small boy called Peter who manages to capture a very angry, dangerous wolf. A special musical version of Charles Dickens' A Christmas Carol is the highlight of this Christmas programme which features seasonal favourites such as Tchaikovsky's Nutcracker, Anderson's Sleigh Ride with Santa Claus and Carols for the audience. The concert starts with Arnold's amusing Grand, Grand Overture which features three hoovers and a floor polisher as well as the finale from Aint-Saëns' magnificent Organ Symphony. An exciting programme of The Elements with Holst's Spirits of the Earth, Falla's Ritual Fire Dance, Handel's Water Music and Britten's Wind Storm, Frost and Ice are represented in Vivaldi's Winter and Thunder and Lightning in Strauss' lively Polka. 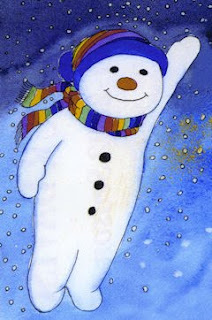 And of course the elements would not be complete without the popular story of the Snowman with its chart topping song We're Walking in the Air, sung by pupils from Downside Lodge and St. David's Schools. Travel through time with Dr. Who, Star Trek, Jurassic Park and the intrepid Classic Buskers who will take us on a whirlwind trip through time and place. The programme also includes an ancient Javanese temple dance and a musical trip on a space rocket. As usual we are running our popluar season ticket scheme, where you can buy and save up to 50%. For more information, please call the Fairfield Box Office on 0208 688 9291. What a great way to end the season! We had a fantastic concert with the Little Symphony of London, Dragonsfire, and Sam Davies to narrate our tale of the Pied Piper of Hamelin. 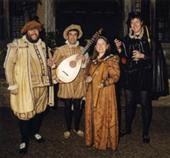 To the right you can see a picture of the Dragonsfire group ( Nigel Perona-Wright, Hilary Perona-Wright, Jon Banks, and Jack Davies) performing on their period instruments. As usual we had a number of great entries to our competitions. This time's winners were Eleanor Tsoukkas (aged 9 from Wimbledon Park) for the Quiz, Rebecca McCallum (aged 9 from Brighton) for the wordsearch, and Elaine Jones (aged 7 from Wallington) for the picture. You can see Elaine and Rebecca with our conductor Darrell Davison, Sam Davies, and Nigel Perona-Wright. Unfortunately this was the last concert of this season. Check back to find out details of our next Family Concert series which will begin in September. We look forward to seeing you there! 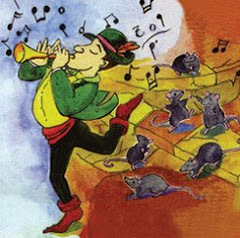 Come and join us on Saturday 25th April at 11am to travel back in time to the medieval era with the haunting story of the Pied Piper of Hamelin. We will also have the Dragonsfire Medieval Group with us who will be dressed in period costume, pictured to the right. The family concert also includes Handel's Water Music, Pachelbel's Canon, Warlock's Sword Dance as well as music by Mozart and Schubert. As well as the Dragonsfire Medieval Music Group performing for us, our orchestra will be the The Little Symphony of London. 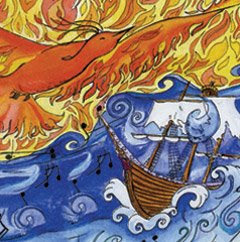 We were delighted to have David Leonard to narrate our story piece of The Firebird. We also had Samuel Jacobs to show us how the French horn works as well as play the Finale from the Horn Concerto no 1 by Strauss. As usual we had some excellent entries to our family concert competitions; the February winners were Kieren Athayde (aged 10), Rebecca McCallum (aged 9) and Elaine Jones (aged 7), pictured here with Darrell Davison and David Leonard. Our next family concert will be full of magic and mystery as we perform excerpts from Lord of the Rings, Beauty and the Beast, as well as tell you the story of The Firebird. 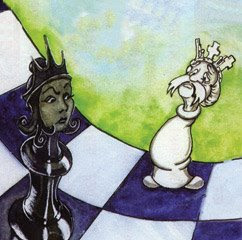 We will have David Leonard in attendance as our narrator. Come and join us to hear musical stories and legends of old!